Do you know why landlords insist on the end of tenancy cleaning so much? They just don’t want to spend mind-blowing sums on repairs and professional cleaning services because their tenants didn’t bother to clean. And do you know why some tenants prefer not to clean their rented property even though they know that not cleaning will cost them their deposit money? 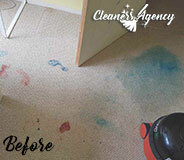 It is because end of tenancy cleaning is difficult. It doesn’t matter how diligent you cleaned your rented property throughout the tenancy – when it comes to move-out cleaning, you need to thoroughly sanitize every surface in your rented property, eliminate all stains caused by you, tackle mold and mildew in bathrooms (if any). To do all this while at the same time searching for a new rented property, and, at the same time again, packing up all your things and leaving your rented home seems too difficult, doesn’t it? That’s why we’re here – to help you. If you want to make your rented property sparkling clean and ready for incoming tenants – contact us and book our professional end of tenancy cleaning services. We are a professional cleaning company which covers Islington and we specialize in end of tenancy cleaning. Our end of tenancy cleaning services have great performance-price ratios and are always delivered by a team of experts with abundant experience in the field of professional cleaning. Our cleaning company is the only one in Islington which uses only environmentally friendly cleaning products to deliver its services. Our cleaning products are not only completely safe for use near children and domestic pets, but they’re also allergen-free and even people with persistent allergies can use them without a problem. Choose us to do the end of tenancy cleaning in your rented property and we guarantee that you’ll leave your place in a perfect condition, ready for incoming tenants. Your landlord will be more than happy to give you a full refund on your deposit money. Contact us and book our services if you want perfect results. We cover N1 and we’re available for booking throughout the week. Had my end of tenancy cleaning done by your cleaners. They came on time and got down to work. The job was done fantastic as the landlord was pleased without any remarks. I kept all of my deposit and will surely recommend the company to everyone. Thanks for the great job. Nowadays more and more people rely on the help of professional cleaners for many different tasks. If you are also looking for a company to hire, we can assure you that Cleaners Agency London is the best cleaning company in London whether you are looking for a high quality or affordability. We have been working for many years in the cleaning business and we know very well how to always achieve the best look for any home or office. We offer a wide range of cleaning chores so you can give us a call and choose the one that will help you in the best way. We can guarantee for our excellent services because we always use only high-quality cleaning tools and products which always achieve the best results. 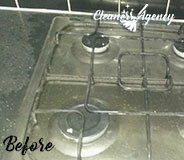 Not only do we provide the best cleaning services in entire London but we also charge our clients very reasonable fees. Don’t hesitate to give us a call anytime. Moving homes can be stressful enough. Why would you want to complicate it even more? What we offer you is to concentrate on the matters that are really important and let us do the end of tenancy cleaning for you. It is not like we underestimate it, even the opposite, but if there is somebody who is willing to help, why don’t you accept that help? We are a professional cleaning company with a number of years in the field of cleaning. We have grown to become one of the most respectable companies in Islington with a vast clientele. 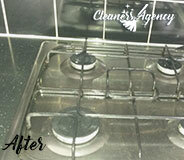 To book an appointment with us, simply get in touch with us and request the end of tenancy cleaning service. Feel free to share with us your preferences and requirements so that we can take them into consideration. 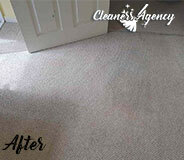 The cleaners who we can send to the property are all fully trained and experience. They will take the best care of your property, making sure that all traces of previous dwelling are eliminated. Grime, dust, spots, smudges and bad smells will be long gone. We are available in the entire area of Islington. Make sure to call us right away.